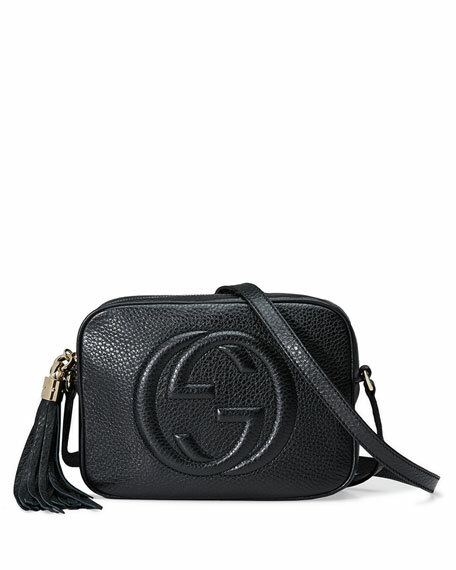 Gucci Soho bag in leather. Adjustable leather strap to be worn across the body; 23" drop. 6.25"H x 8"W x 3"D.
Gucci "Marmont" shoulder bag in matelassé chevron calf leather with a heart. 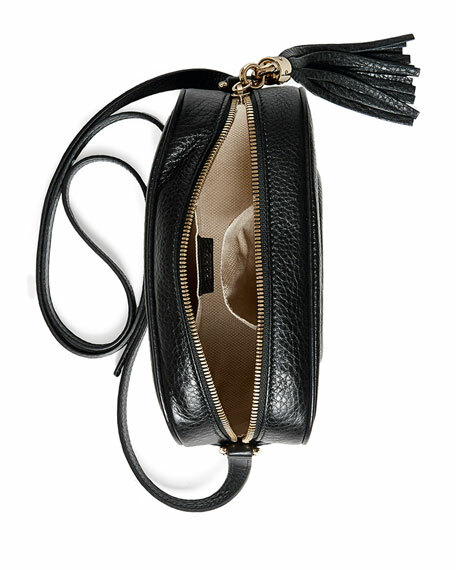 Sliding chain/leather shoulder strap may be doubled, 12.2-21.3"
Gucci matelassé chevron leather shoulder bag. Attached key ring that can attach to a separate bag. Golden hardware. 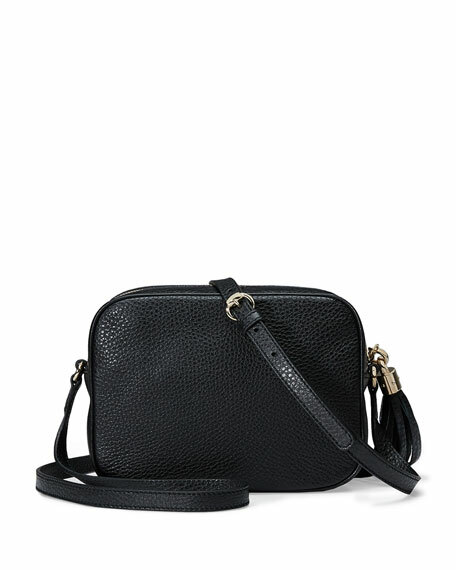 Removable chain shoulder strap, 23.5" drop. Flap top with double G medallion. Pin closure with side release. Quilted heart on back. 4"H x 6.5"W x 1.5"D. "Dionysus" is made in Italy. Gucci "GG Marmont" bag in matelassé chevron leather with heart detail. Antique gold-toned hardware. Fixed leather top handle with 2.5"